I realized this year that Christmas is all about me, LOL! Our tree is decorated mostly with ornaments from my childhood. My daughter was in charge of decorating, and she kept the softer, less fragile ones at the bottom because of our cats, and the porcelain and crystal objects are towards the top. I need to remember to add to her ornament collection over the years. The piano is the other Christmas display area. 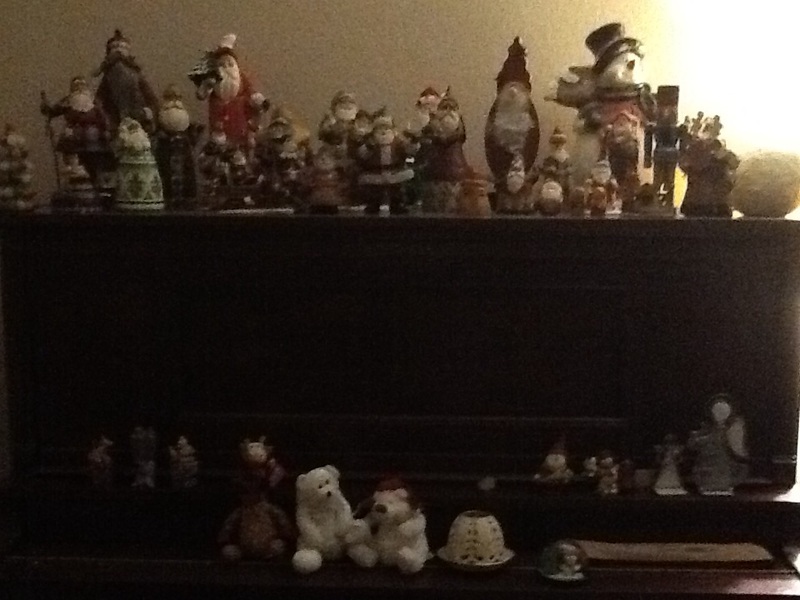 I have collected Santa figurines since I was a teenager. 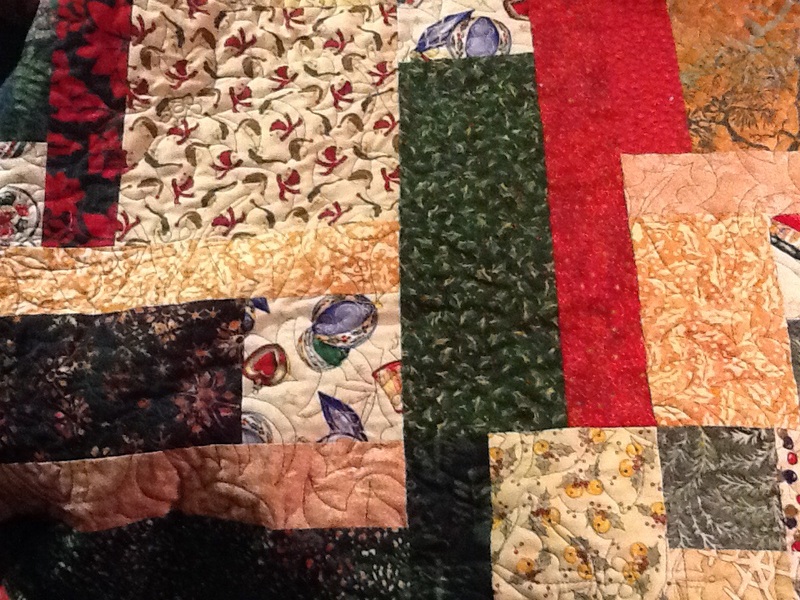 I have a few Jim Shore to show my love of quilting and others that represent my travels. This year I finally finished my Christmas quilt, started at least 8 years ago! I went on a shop hop and looked for Christmas fabrics. At first I tried to limit myself to batiks, but then I found a few prints that I really like, such as the snowmen in knit caps and the jingle bells. I used the Turning Twenty pattern. When it came time to quilt it, I needed a backing. I had a few pieces of original fabric left, so I cut large squares, about 16″. I needed just a bit more width so I added a solid strip. But, I barged ahead when I should have done some more math and the pieces were not all the same. So, it got a little wonky where the corners don’t quite meet. Imperfections can be charming, right? And the cats don’t seem to mind, they have claimed this couch throw as their domain. 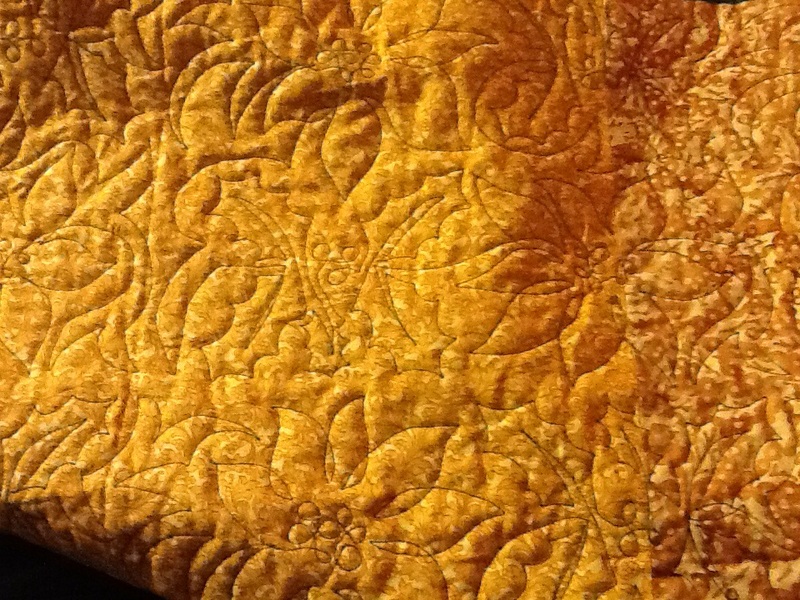 I used a pantograph with poinsettias and holly as the quilting design. 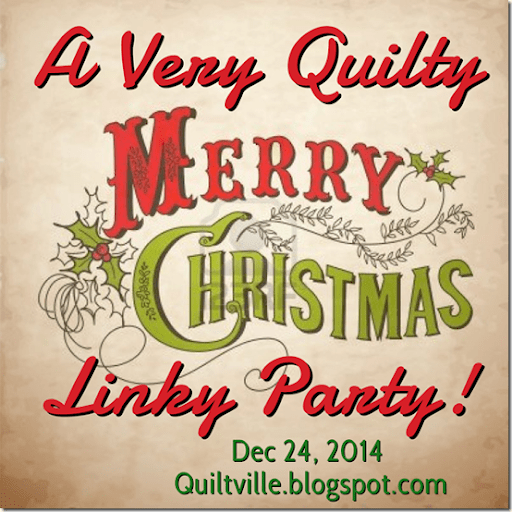 Thanks to Bonnie Hunter for setting up a Christmas Eve Linky Party! May all your homes be full of Christmas Joy!